Free Shipping Included! 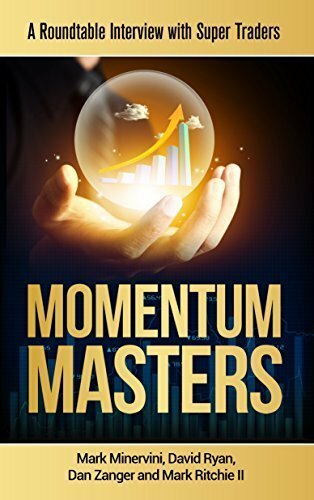 Momentum Masters - A Roundtable Interview with Super Traders - Minervini, Ryan, Zanger & Ritchie II by Access Publishing Group, LLC at HYIP Offer. MPN: 43192-782275. Hurry! Limited time offer. Offer valid only while supplies last. 130 real questions from real traders answered by Mark Minervini, David Ryan, Dan Zanger & Mark Ritchie II - four of America's top momentum investors. 130 real questions from real traders answered by Mark Minervini, David Ryan, Dan Zanger & Mark Ritchie II - four of America's top momentum investors. Mark Minervini returned 36,000% - a 220 percent average annual return with only one losing quarter. He won the U.S. Investing Championship with a 155% return. Mark is the Author of the best-selling book Trade Like A Stock Market Wizard; How to Achieve Superperformance in Stocks in Any Market. He is featured in Jack Schwager's Stock Market Wizards: Conversations with America's Top Stock Traders. David Ryan is a protégé of the legendary William O'Neil and a former money manager at O'Neil & Co. He won the U.S Investing Championship three years in a row, scoring triple-digit returns every year - his total return was 1,379%. David is featured in Jack Schwager's Market Wizards: Interviews with Top Traders. Dan Zanger turned $11,000 into $18 million in less than one-year during the late nineties. In two years, the former pool contractor's personal trading account ballooned to $42 million! Mark Ritchie II is the son of the legendary Mark Ritchie (Market Wizards, God in the Pits). He achieved a +100% return in his own trading account in less than 6-months to win Mark Minervini's 2010 Triple-Digit Challenge. Since then Ritchie II is up 540% - his total return since 2010 is over 1,000%. If you have any questions about this product by Access Publishing Group, LLC, contact us by completing and submitting the form below. If you are looking for a specif part number, please include it with your message.